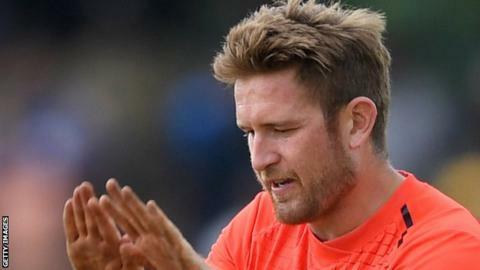 Spinner Liam Dawson has been ruled out of the remainder of England’s one-day international tour of Sri Lanka because of a side strain. He picked up the injury in England’s win in the second ODI on Saturday, when he bowled six overs and took a wicket. The Hampshire left-armer, 28, is likely to be out of action for up to a month. All-rounder Joe Denly, who is in England’s squad for the Test series against Sri Lanka next month, has been called up as Dawson’s replacement. Kent’s Denly, 32, played the last of his nine previous ODIs in 2009 and will join the squad on Wednesday. The tourists are 1-0 up in the five-match series, with the next game on Wednesday in Kandy.